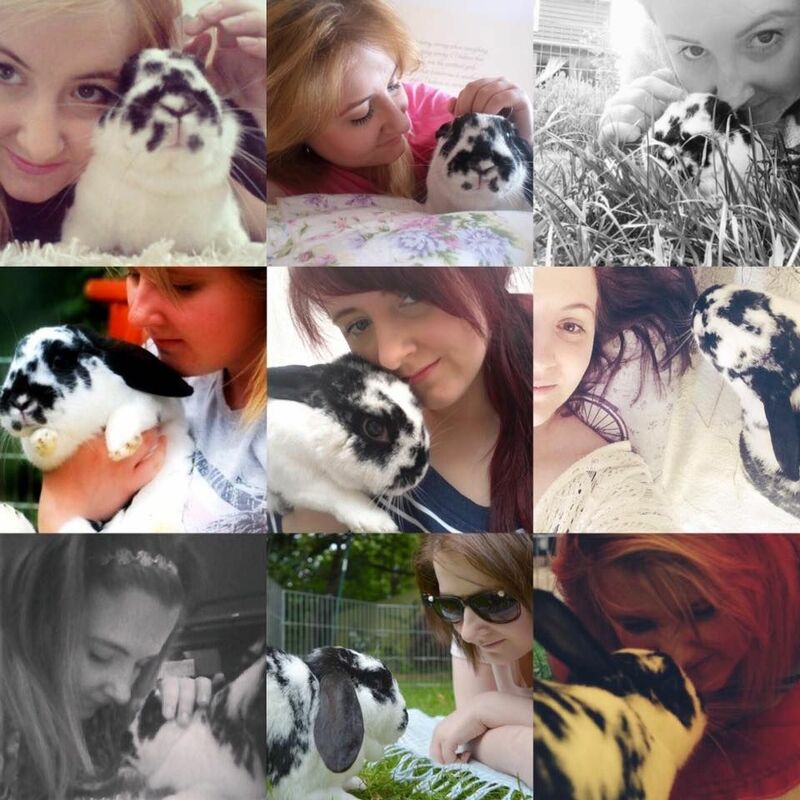 Writing a tribute post to this amazing rabbit is one of the hardest things to do, because no amount of words will ever be enough. He was born with me in 2007, Peanut Butter and Jelly's son, a complete 50/50 merger of his two parents. And I have carried a lot of guilt for that over the years, so when he was five months old, i had him neutered and adopted Pebbles to be his friend. They absolutely doted on each other, and when Peanut died, they became a trio with Jelly. 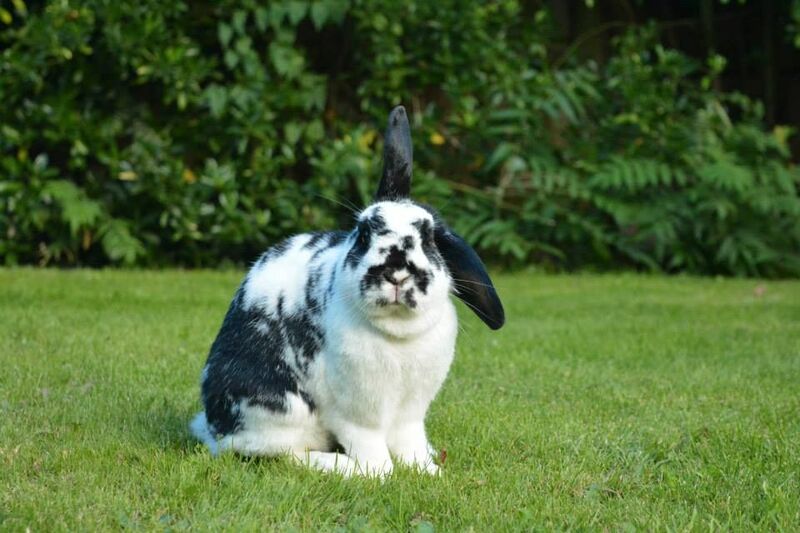 But Domino was just that little bit more special, we had a bond so close that he would come when he was called, he would climb into my lap for a snuggle, and he had an attitude over food that was so funny it became what he was known for. 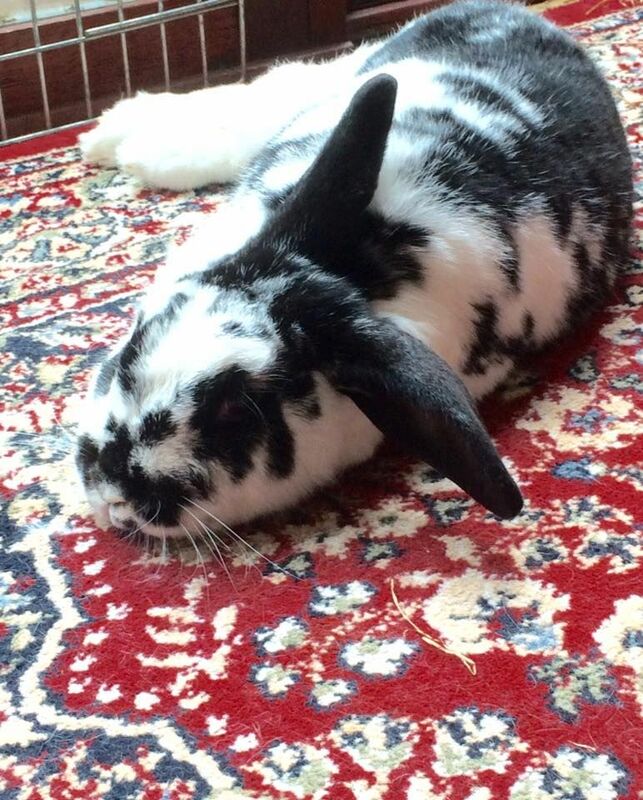 He's the rabbit who stole a packet of cola fizzy laces and scoffed a whole one before we got the packet off him, the rabbit who ate marmite on toast without anyone noticing, and last year, he stole an apple pie and ate all the filling. He became known for his expressive face, the way you could always tell what he was thinking and when he became ill in 2012, I thought I'd lost him. His E.C was so bad, it's a miracle he bounced back. But he did. Living indoors alone as a solo bunny, our bond grew and when I was unwell, unable to get out of bed with my ME, he would be curled up on the bed with me. He gave me something to focus on, so I dedicated every day to making him better, using food as his motivation. It worked, and bit by bit he recovered. 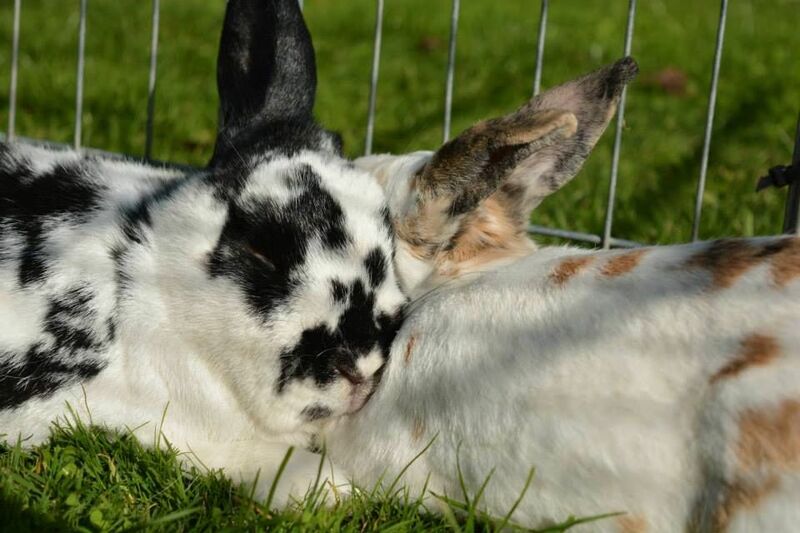 When Jelly died, I rebonded him with Pebbles, and they were so in love as they had always been. But he still remained my little companion, running towards me if I ever came into the room, grooming me, we were just so inseparable. He developed arthritis, and the leg that had been bothering him since the EC had been playng up, so he had acupuncture, and laser therapy. But my beautiful boy was hiding so much more than that, and we found out after his breathing went downhill that his heart was enlarged, his windpipe pushed up and his lungs full of fluid. But did the boy ever stop eating? Of course not. He still scoffed his food and hid it so well. So on July 7th, we let him go. And I am utterly, and completely heartbroken. There will never be another like him, and I'm so blessed he was my little friend. He was a "one-off", that's for sure. And he had a very expressive face. Having lost my share of buns (and some special ones included) I can sympathise.... they hop into corners of our hearts we didn't know existed! Domino... I hope you find marmite toast at the bridge. And don't eat to much of that toast at the bridge. Oh my darling, I am so very sorry and my heart goes out to you. Lots of hugs and comforts on the way.